Have you noticed that you get an uneasy feeling down inside of you when you say or do something wrong? This is your conscience speaking to you. Your conscience tells you when you are wrong. 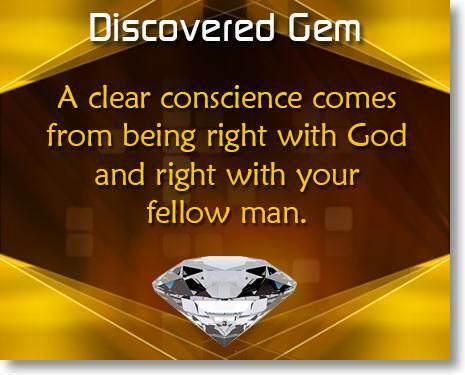 To enjoy fellowship with God, you must have a clear conscience. We must be right with God. We must know in our heart that there is nothing between us and Him. We must be right with our fellow man. We must know that we have made things right with others so that no one can point a finger at us and say, "You did me wrong and you never asked for my forgiveness or tried to make things right with me." In our last lesson we learned that we must be right with God if we want the Holy Spirit to make Christ real to us. In this lesson we are going to see that we must make things right with our fellow man before we can be right with God. A great saint of God expressed it like this: "You cannot be right with God if you are wrong with anybody in the world." The Old Testament is important because it shows us actual life situations and God's decisions about them. In Leviticus, chapter 6, God tells us about the "trespass offering." The word "trespass" means to invade the rights of another or to deal unfairly with him. 1. Carelessness in taking care of things entrusted to you by others. 2. False dealing in business. 5. Keeping things you find instead of returning them to the rightful owner. If a person had stolen something, or lost something that had been entrusted to him, or had lied or used deceit to get something, God required that he restore the full value plus a 20 percent penalty! This made stealing very unprofitable. Only after a man had made things right with his fellow man was he allowed to bring his trespass offering to the Lord and thus be forgiven by God. 1. 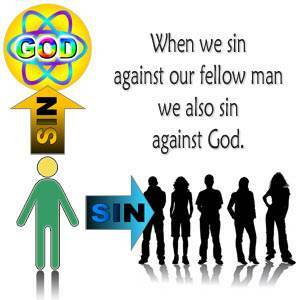 When we sin against our fellow man, we also sin against God. 2. We must be right with our fellow man before we can be right with God. The Lord Jesus speaks here of one who has come to worship God. 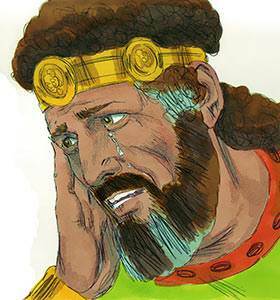 Suddenly he remembers that he has wronged someone. The Lord says that he is to leave his gift at the altar and first go and be reconciled to his brother; then come back and offer his gift to God. What does it mean to "be reconciled" to your brother? It means to make things right with him, whether by apology or by making restitution. You cannot worship God acceptably by singing, praying, giving, or in any other way until you are first reconciled to your brother. The Lord Jesus is laying down a principle here. It is the same principle that we saw in the Old Testament. The principle is this: We must be right with our fellow man before we can be right with God. Not all sins require making things right with another person. If our sin was committed against God only, confession needs to be made to God only. But, if we have wronged others, we must make things right with them. To ask God alone for forgiveness is not sufficient. 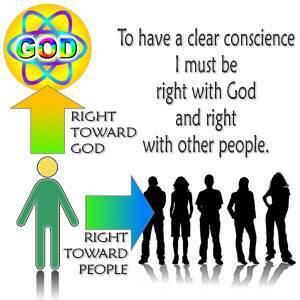 We must make things right with others before we can be right with God. "Search me, O God, and know my heart: try me, and know my thoughts: and see if there be any wicked way in me…"
If we want to have a clear conscience, we must allow the Holy Spirit to search our heart and show us our offenses against others. Have you hurt or offended someone by something you said or did? Have you stolen from your employer, from someone in your family, or others? Have you lied to someone and never gone back to ask for forgiveness? Have you been bitter toward someone and held resentment against him? Have you had an unforgiving spirit toward someone? Have you rebelled against the authority of someone over you? Have you been ungrateful to those who have helped you? Have you committed other offenses? In our last lesson we were dealing with those sins that had come between us and God. Now we must deal with those sins which we have committed against others. Remember, you cannot be right with God if you are wrong with anybody in the world. List those from whom you must ask forgiveness. 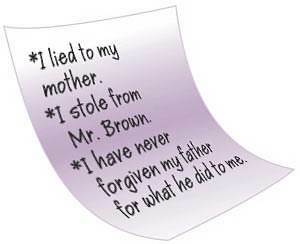 Begin making a list of the people from whom you must ask forgiveness. Also list the sins that you committed against them. Some things may come to your mind quickly. It may take time to think of other offenses. Do not be in a hurry. You are doing business with God. Write down every offense you can think of. Your list may read like this one. After you have written down all the offenses you can think of, ask the Holy Spirit to remind you of any offenses you may have overlooked or forgotten. Pray to Him: "Blessed Holy Spirit, I want to make things right with every person I have wronged. Please remind me of every offense I have committed against another person." If you are sincere in this prayer, you will find that the Holy Spirit will show you offenses that you had not thought of. You will find, too, that the Holy Spirit has an exceedingly good memory! He may remind you of offenses that you committed years ago. You must deal with every offense, regardless of how long ago it may have taken place. If you do not deal with it, that offense will be with you as long as you live. When you have completed your list, look it over carefully and number your offenses—1, 2, 3, etc.—in order of importance. You may want to ask the Holy Spirit to show you which offenses are the most important. Choose the proper time and method to apologize. Once the Lord has shown you that you should go to someone and apologize, do it promptly. Choose a time that will be convenient for her, a time when you can speak to her alone. Certainly you would not want to go to a person when they are busy working and may not have time to talk with you. But do not allow anything to keep you from going to them as promptly as possible. The best method of apologizing is usually a personal visit. Go directly to the person and speak with him alone. A phone call is the next best method. In some instances, it could be the best method, especially if a personal visit would not provide the privacy you need. 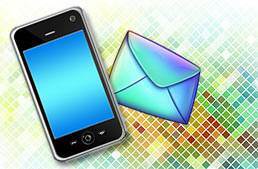 A letter can be written asking for forgiveness, but this method is less preferable than a personal visit or a phone call. For one thing, the person may not reply to your letter; therefore, you do not know if he has forgiven you. But whatever method you choose, see that you apologize correctly and without delay. The scope of your apology should be as wide as the offense. If your sin was against God alone, then you need to confess it only to God. If your offense was against one person, you must confess it to God and that one person. If it was against several people, you must confess it to God and to those people. If your offense was against the entire church, then you must confess it to God and to the church. When we apologize to someone, we must fully admit our guilt and humbly ask for forgiveness. If we do not do this, the offense will not be cleared. 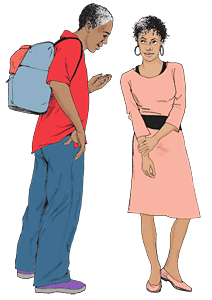 Many times a person apologizes, but he does so in a wrong way and the offense is not cleared. "I was wrong, but you were wrong too." This is incorrect because you are not taking full responsibility for your offense. "If I've been wrong, please forgive me." To use "If" before your apology means that you are saying, "I'm not really convinced that I was wrong." Therefore it is not a real apology. "I'm sorry about what happened. Please forgive me." This apology is not correct because you have not admitted that you were wrong. This incomplete apology is wrong because you have not specified the offense or admitted your wrong-doing. "I'm sorry I lost my temper, but you made me do it." This is wrong because you are not taking responsibility for your wrong-doing but putting the blame on the other person. Take full responsibility for our offense. Ask the person to forgive us and wait for his answer. "I was wrong in (name the offense). Will you forgive me?" Whatever the situation may be, when we apologize we must take full responsibility for the part wherein we were wrong. We may honestly feel that we were only 10 percent wrong and the other person was 90 percent wrong, but this does not excuse us from our responsibility. We are responsible to apologize for our part. Let God deal with the other person about his part. In making an apology, we should be as brief as possible and avoid unnecessary details. We should not bring others into the matter unless it is absolutely necessary. If we are apologizing to an unsaved person, we should not try to witness to him about Christ at the same time. Our confession and apology will be witness enough at this time. 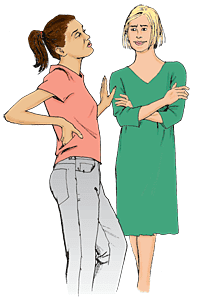 It is possible that the other person will not accept your apology nor forgive you. In this case, if you have honestly and humbly apologized and done what you could to make things right, leave the matter with God. If we have caused someone to suffer a loss, we must make restitution. What does it mean to "make restitution"? It means to repay the person for the loss he has suffered. We must make things right with him; otherwise, we will find it impossible to have a clear conscience before God. For example, suppose that I have stolen something from someone. It is not enough for me to simply say, "I am sorry that I stole from you. Please forgive me." I should ask for forgiveness, but I must also seek to replace the item or repay the person for the loss he has suffered. If we have caused someone to suffer loss, we must pay him back. 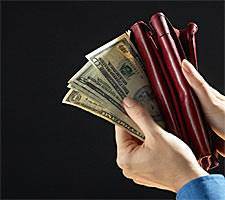 If making restitution involves money, it may be that you are not able to pay it immediately. In this case, you should make arrangements to pay it as soon as you can. You may need to arrange to pay a certain amount each month until the debt is fully paid. Be sure to keep your word and do what you have promised. That will not clear your offense. A man who has offended his wife by something he said or did cannot make up for it by bringing her some flowers or a box of candy. Only one thing clears an offense—a proper apology. Putting things off is one of the great enemies of a clear conscience. Jesus said, "Agree with your adversary quickly." This means: Do what you should do NOW. "The other person was more wrong than I was." That may be true, but you are still responsible for the part wherein you were wrong. When you apologize for your part, you may find that the other person will apologize for his part. Somebody has to take the first step. Why not let it be you? "It's really such a small thing." It is not small if God is speaking to you about it. If it is on your conscience, it is big enough to be taken care of. "It happened such a long time ago." Perhaps so, but if the Lord has brought it to your mind, you must deal with it. Most of the time, you will find that the other person remembers it very clearly. They may have, but that does not clear the offense. Whether or not he understands is not the point. 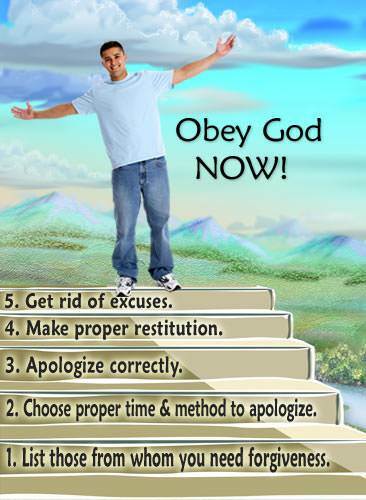 You must obey God and do what He tells you to do. "He is not a Christian. What will he think of me?" He may think that, at last, he has found a real Christian—one who is honest enough and humble enough to admit that he was wrong and to apologize. Of course, he may react differently, but regardless of what he may think of you, you must obey the Lord. Begin now making things right with others. It is important that you go first to those you have offended most. Begin with Number 1 on your list. Go to that person and ask his forgiveness. Then go to Number 2, and on down the list. You must deal faithfully with your offenses, one by one, until you have dealt with every offense. Some people may think that you are doing some things that are unnecessary. 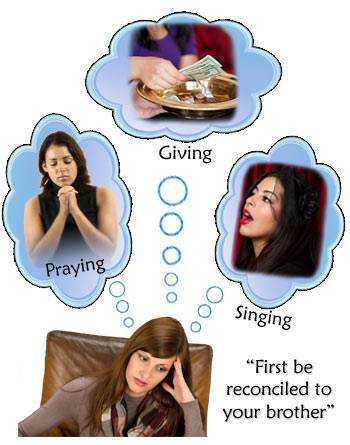 But you are not doing these things to please others; you are doing them to please the Lord. You must not allow anything to hinder you from obeying the Lord. A clear conscience is worth whatever it may cost. When you have faithfully confessed your sins to God and faithfully dealt with your sins against others, it will seem as though a great burden has been lifted from you. You will know that inner freedom of spirit that comes from knowing that you are right with God and right with your fellow man.